GROOVE! was commissioned by Brussels Philharmonic in 2010. Rhythmic elements and patterns of diverse musical styles were a source of inspiration. 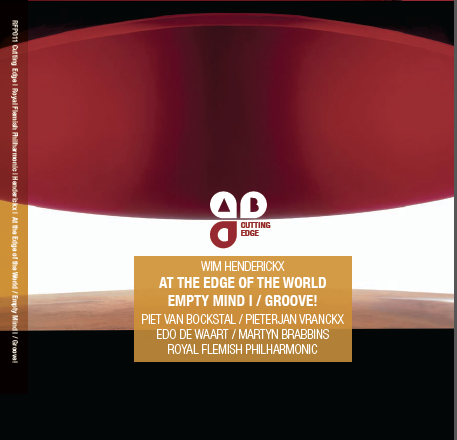 In 2012 Wim Henderickx made a version for PERCUSSION AND TWO PIANOS. In jazz music the 'groove' is the sense of propulsive rhythmic feel or sense of swing, created by the interaction between a band's rhythm section. In this work African instruments such as caxixi and a kalimba (thumb piano), Arabic-inspired music with derbukas and riqs and Asian-inspired music with tablas,Tibetan bowls etc. are confronted with a Western symphony orchestra, extended with a bass guitar, a synthesizer and a baritone saxophone. Material the composer used in GISHORA (2009) - for trumpet and 7 African drums - is thoroughly explored in this work. There is a dialogue as well as a confrontation between soloist and orchestra.